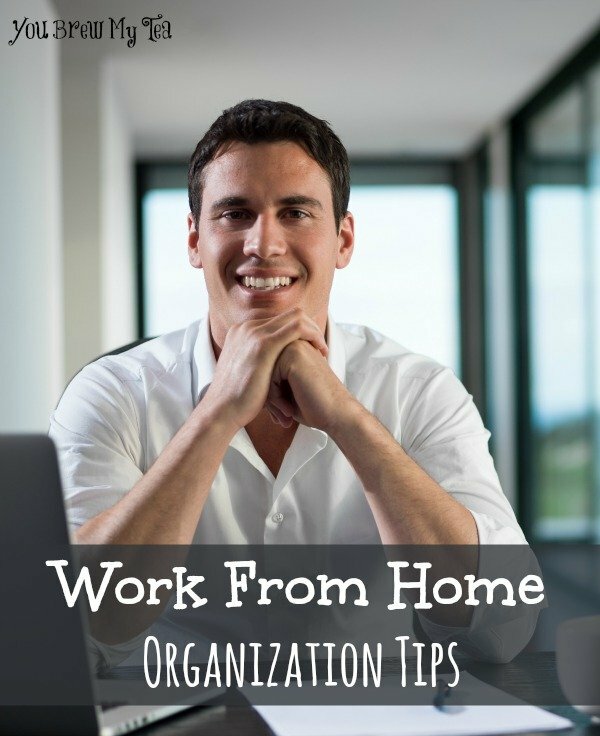 In the last several years more and more people have joined the ranks of self employment to work from home. As moms are going back to their roots and choosing a life staying at home with their children, they are also finding a need to work at home to make this happen. With children, family, homeschooling and other responsibilities in the picture, these Work At Home Organization Tips are excellent for keeping you on track. As a mom, wife, homeschooling parent and business owner I know that these tips work. If they didn’t, I would be a mess all the time. I have put these into practice within my own home business and have had great success. Create Lists: Lists can be hand written on a legal pad, chart or post it note. They can also be kept in documents and spreadsheets on your computer, or online in a cloud storage site. The important part isn’t how you make or store your lists, but that you make them at all. Everything from your to-do list, bills to be paid, clients to contact and who owes you money needs a list for you to check off and monitor regularly. Create A Dedicated Office Space: While not everyone will have a separate room in their home for an office, you can easily dedicate at least a small space for your office. This can be a corner of the kitchen, part of your dining room table or a corner in your bedroom. The important thing is that it is a place that you can keep your supplies, calendar, computer and feel comfortable yet organized in. Remove Distractions: Do you find yourself singing along to the music playing in the background? What about getting caught up in the latest soap opera? Is social media on your phone or in a tab on your laptop getting you caught in drama or sidetracked from work? All of these and other things can easily become distractions that keep you from focusing on your work. Remove the distractions during work hours to keep you on task and successful. Set Short & Long Term Goals: Sometimes the best thing we can do is to challenge ourselves. Setting short and long term goals to help you become more productive will go a long way toward your success. Short term being goals you want to accomplish each day, week and month. Long term goals can be over the course of a week, month, year or even up to 5 years. Keeping these always on your mind and in front of you will help you to stay on track and motivated to be organized. Leave Household Chores Alone: Sure working from home offers you the chance to cook your own lunch, toss a load of laundry in the dryer as you walk down the hall or pick up clothes from your kids room in the middle of the day. It also gives you a distraction from work when you see or think about these things. Leave the household chores until your work is done for the day. Create chore charts and cleaning schedules to keep the whole family responsible. Working from home is a real job just like any other. Just because you are in the house doesn’t mean you should shoulder the entire responsibility on your own. Working from home can be a wonderful experience for many people. Not only does it give you freedom, but it can also become much more profitable than a traditional 9-5 job would be. These work at home organization tips are sure to keep you on track as you navigate your first months and years in the work at home business.